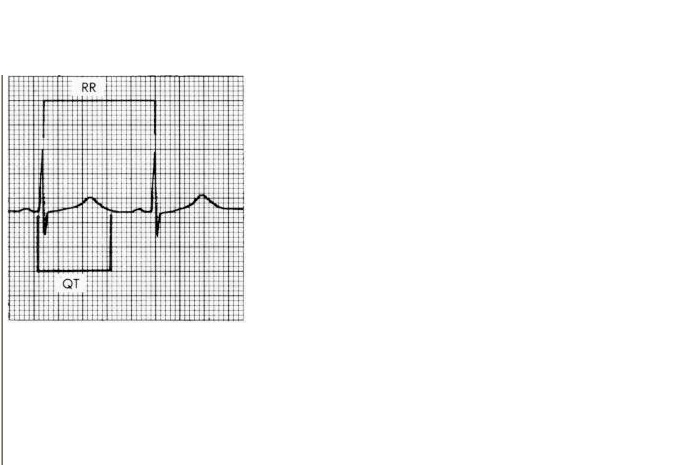 The ST segment is that portion of the ECG cycle from the end of the QRS complex to the beginning of the T wave . It represents the beginning of ventricular repolarization. The normal ST segment is usually isoelectric, but it may be slightly elevated or depressed normally (usually by less than 1 mm). 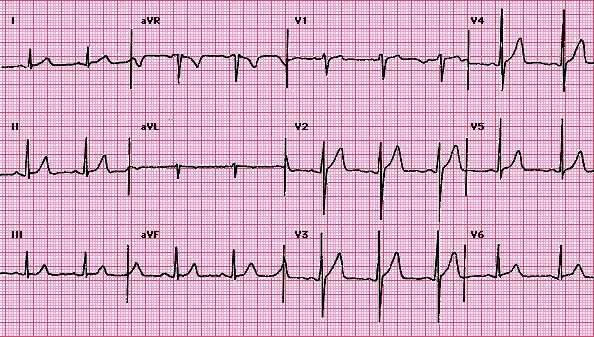 Some pathologic conditions such as myocardial infarction (MI) produce characteristic abnormal deviations of the ST segment.The very beginning of the ST segment (actually the junction between the end of the QRS complex and the beginning of the ST segment) is sometimes called the J point. for the QT interval depend on the heart rate. 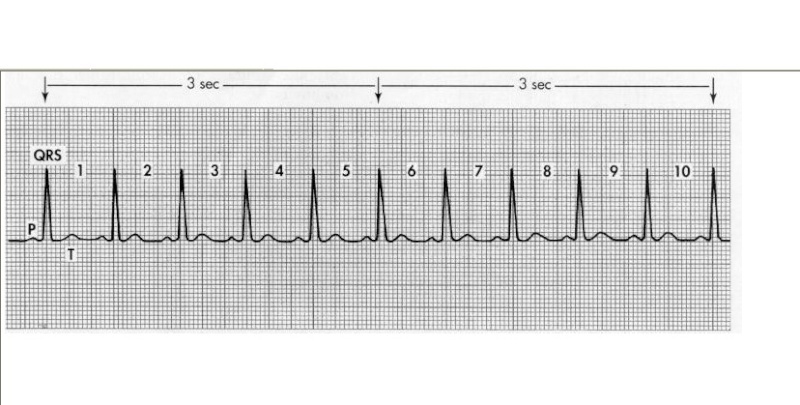 As the heart rate increases (RR interval shortens), the QT normally shortens; as the heart rate decreases (RR interval lengthens), the QT interval lengthens. There is no simple rule for calculating the normal limits of the QT interval. Normally the QTc is less than or equal to 0.44 second. 2) CALCULATE HEART RATE IN THE FOLLOWING ? 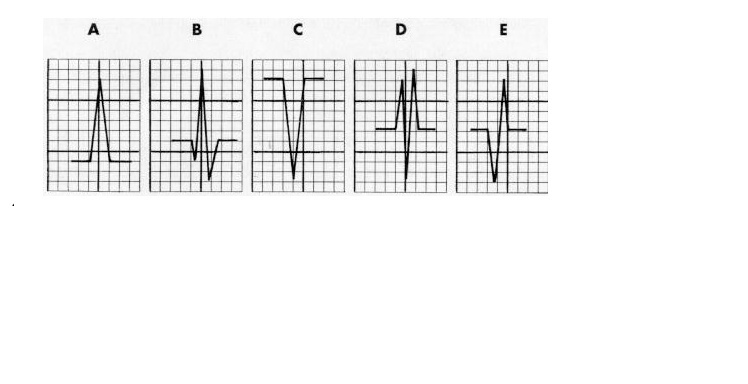 3) Name the component waves of the QRS complexes shown below.